Our ROCKstar of the Month for June is the one and only Kelly Clymer! 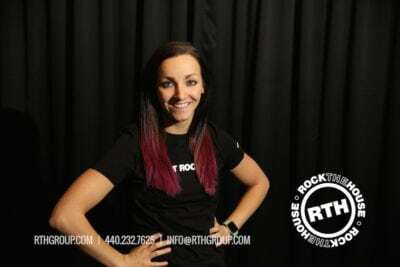 Since joining the RTH team about 4 years ago, Kelly’s role has evolved from a skilled dancer and party motivator to a ROCKstar MC and team leader capable of handling nearly any event situation. 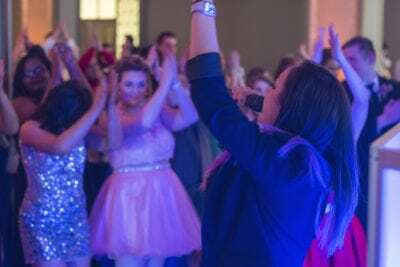 One of Rock The House’s strongest female MCs, Kelly has represented our team on multiple occasions on high-profile, out of town shows ranging from Columbus to Virginia Beach, and even for the JACK Casino grand opening here in Cleveland. When she’s not at a Rock The House show, you can most likely find Kelly spending her days at the Cleveland Ballet Conservatory (where she has recently stepped into the role of Assitant Director). Favorite Movie? The Whole Star Wars Series! Favorite Music to Dance To? Any throwbacks… But especially 90’s pop! Favorite Thing About Being on the RTH Team? All the awesome people I’ve met through Rock The House and the industry in general. A born entertainer, Kelly is a prime example of a true event professional. From coordinating with other vendors at a wedding, to keeping kids engaged at a school dance, there isn’t much this ROCKstar can’t do! Congratulations again to Ms. Clymer for being this June’s ROCKstar of the Month! Interested in working with Kelly at your next event? Contact our team of event professionals today to get started! Photos courtesy of the Rock The House Photo Archive.